It’s hard to imagine yogis and yoginis being wired to social media…or to anything that runs on electricity, for that matter. But alas, it’s true. And it leads to some interesting results. As much as yoga is about “the self” and the “inner being,” it is also about building a community and fostering relationships with your peers and your gurus. The basic philosophy is that you learn from your experience “on the mat” and then share it with those around you “off the mat.” In the olden days, people would hitchhike around the world and teach in different ashrams. 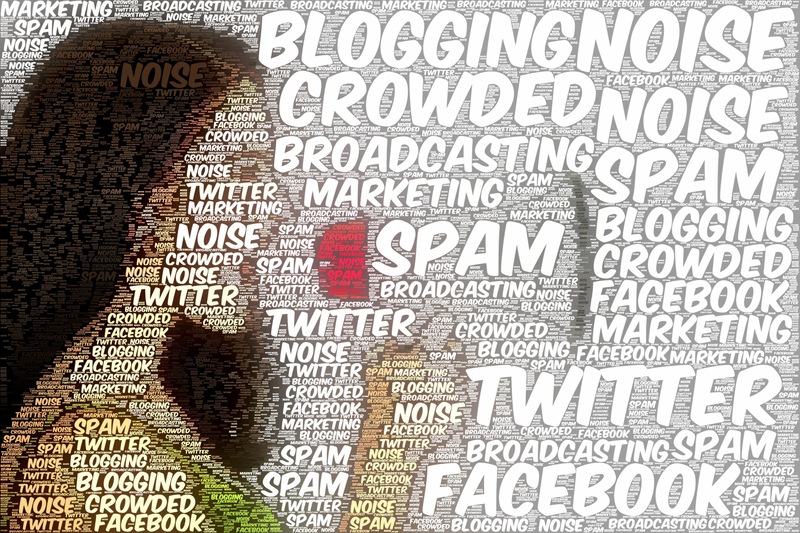 In today’s techno-savvy world, sharing “off the mat” means go-online-and-blog. And it’s great because there are fewer barriers to connecting with people with similar interests. In online yoga communities, teachers share sequences they found to be successful in class or cues that really resonated with students. Yogis and yoginis share playlists, cool workout clothes, pictures, and all sorts of little anecdotes. I have never met the people whose blogs I read or comment on. And most probably, I never will. But that does not make my interactions with them any less valuable or any less “social.” These online connections have great potential to be just as strong as those “in real life.” And for most people, these virtual communities are a major way to connect with other yoga enthusiasts. Some of the blogs I like include: YogaDork, Elephant Journal, Prana Journal, Daily Cup Of Yoga, and Yoga Rants and Raves. When “yogis” and “yoginis” rattle on about the benefits of yoga, it’s a little unbelievable. And the incredulity is completely understandable. I mean – how is doing sun salutations in the morning going to stretch the organs, calm the mind, improve digestion and circulation, sharpen memory, cleanse the skin along with a million other great benefits? That’s a tall order. Since the 1930’s, distinct styles of yoga have emerged from India – Iyengar, Ashtanga, and Bikram. Some started a couple of decades before others, but all have become immensely popular in the West. Each one of them upholds a distinctive focus or tenet. Iyengar is all about alignment; he encouraged students to use whatever props they need to get the right alignment. Ashtanga’s focus is vigorous exercise and multiple levels of difficulty. Finally, Bikram – as you all might know – turns up the heat with a focus on detoxification and a 26-pose sequence. Up until a decade ago, yoga enthusiasts would learn from a particular school and then go on to teach their respective styles. However, as the yoga community grew larger and technology facilitated further exploration, teachers started blending styles together. Hot vinyasa flow, for example, has the heat component of Bikram (though not the same temperature), but with an emphasis on alignment and breath like Iyengar. Power yoga was born out of Ashtanga – with the same physical rigor – but with the freedom of a creative sequence like Iyengar. It is interesting to notice these newer emerging styles borne from combinations of the older ones. What is even more remarkable, however, is the intersection of two spiritualties. Many people, especially in the West, are wary of yoga because they believe it is tied to religious doctrine. And of course, there are Sanskrit mantras and chants that may give this impression. But lo’ and behold – the creation of Christoga: Christian Yoga! People changed the names of poses and included Christian scripture to encourage hesitant Christians to embrace this far eastern practice and philosophy. It’s fascinating how Christianity has reintroduced “yoga” to a different population with phrases like “Moses Staph Pose” and “Sun of GOD Salutation” instead of “Sun Salutations.” Furthermore, social media sites have only helped this new spiritual convergence gain momentum. Online dialogue via social media sites has really helped the yoga community. At the same time, however, it is important to recognize the constant barrage of information coming at us through these channels. Over the past decade, the “networked” public sphere has allowed people to transition from being observers to participants within the information environment. More and more people have started to contribute because the transaction costs are lower and the speed is exponentially faster. And when many people start talking at once, it creates a lot of noise. TOO MUCH. 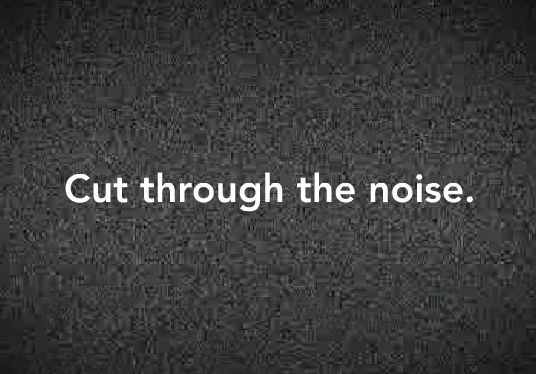 Of course, some voices are more audible than others and get most of the attention – but each contributes to the cacophony. One can avoid this information overload by using filtering systems, actively participating in the conversation, or just being more selective about the material that reaches you. 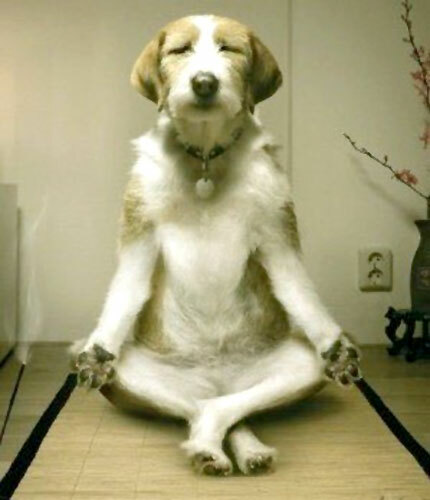 Or perhaps…you can balance the external flow of information with a focus on internal awareness. 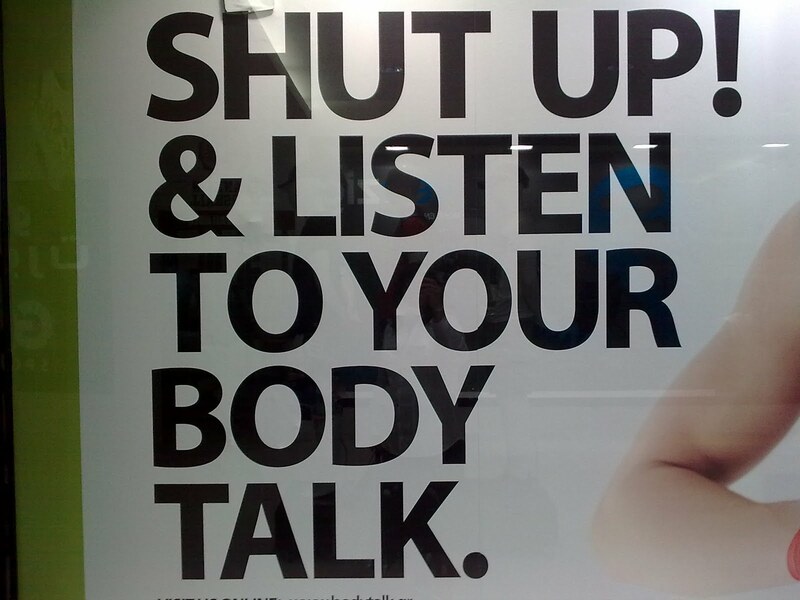 In essence, LISTEN TO YOUR BODIES, PEOPLE! Too often people are wired and distracted and impatient because there is too much to keep up with. So take some time to sit down, breathe, and meditate. And I don’t mean the “go on a mountaintop to seek enlightenment” kind of meditation. I mean – take a moment or two to identify what your mind and body need. (Not want, but need). If there’s information coming at us from all sides, why not also try to seek it from inside? I am currently reading a book called Ghosts by Daylight by Janine di Giovanni – a war correspondent who has worked for many major newspapers. This compelling memoir not only captures her assignments in war-torn areas including Sarajevo, Iraq, and Rwanda among others, but it also illuminates her struggle to settle down, give birth, and start a new life unbridled by the ghosts of her past. Her life is a constant battle for survival and stability – both in Sarajevo plagued by violence and in Paris perfumed by bread. At one point in her memoir, she makes an especially moving comparison. She writes, “In Sarajevo or Pristina or Baghdad or Abidjan, life was permanently on hold. You lived – like yogis holding a particularly difficult posture – only in the moment, because if you lost your concentration for that moment, you might lose your life or someone else’s” (54). That, for me, is such an interesting parallel. It makes complete sense, but at the same time, seems so far-fetched. One thinks of yogis as people who hold headstands on a lush, peaceful hill somewhere. And this – this very raw account of war, death, pain, struggle – is this yoga too? When we say that someone has “lived life to the fullest,” what do we really mean? Is it that the person traveled and saw and struggled and accomplished all that his/her life offered? Or that he/she experienced each moment – whatever it may be – with a heightened sensitivity? Is there a difference? I have many questions, but unfortunately, no answers. I will say, however, that a lot of what I have learned, seen, and practiced in yoga has pointed to expanding one’s ability to “complete an experience.” I know this sounds vague – and I, myself, struggle with fully understanding this concept. It’s basically letting yourself have a full emotional and sensory reaction to an experience without imposing judgment and thought – which may be based either on a memory or an expectation. But our mental processes are so instantaneous, that it’s difficult to separate what we feel from what we think. And perhaps this is what Janine di Giovanni was talking about when drawing the parallel between war reporting and practicing yoga. On the front lines, she did not have the luxury to suppress, ignore, judge, or even understand the implications of gunfire, explosions, and cries of pain. She had to concentrate. She had to be present – and I find her honesty, bravery, and dedication to be extremely inspiring. I would urge all of you to read her memoir. Some book reviews by the Guardian, the Telegraph, and The New York Times might help. Also, here’s a very short interview with her…so you can put a face to the name. After our very first evening of practice – all the way back in January – we ended the class with “circle meditation.” It’s not really meditation, per se. Instead, everyone gathers around in the shape of a circle and shares his/her thoughts – much easier than regular meditation. I remember that we barely knew each other and basically shared our names, occupations, reasons for learning yoga, etc. There wasn’t much soul searching going on. I’m trying to recollect what I said – I think it was: “Hi, my name is Kalyani. I’m an English/Poli-sci double – I mean I’m in grad school (sometimes I forget I’m not at William and Mary anymore.) I am excited for this training because I really like yoga.” Yeah – definitely not one of my better introductions. Very generic, very forgettable. And I don’t remember many of the other ones either because they followed a similar pattern of pleasant detachment. And then, there was this past weekend. Somewhere between cueing downward facing dog and final resting pose, we became a weird little hippie community. During our ayurveda session, for example, the instructor underscored the benefits of ghee (clarified butter) in our daily diet. The next weekend, one woman brought little containers of home-made ghee for all of us! Randomly, people bring food, celebrate birthdays, go out for lunch – and it’s weird because we don’t notice how close we’re actually getting. Circle time continued with people admitting their arrogance, insecurities, discomfort, happiness, relief, and struggles. One woman had been diagnosed with skin cancer earlier that week. This was the first time she really said it out loud to anyone except her husband. It’s strange to think that I see these people for 8 hours Saturday and Sunday every other weekend – and after June 10th, who knows when I will see them again. Maybe I’ll run into them in another yoga class, maybe not. Maybe we’ll have a reunion at some point, or we’ll be too busy running our own studios! We have less than a month and half of training left…and believe it or not, I’m beginning to hope that we can stretch it just a little bit longer. 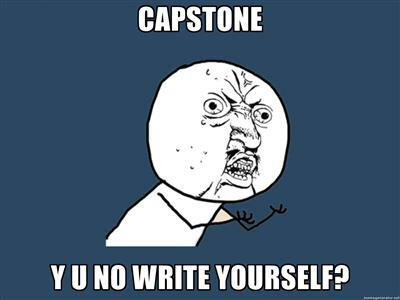 I was inspired by a fellow classmate who made a meme about her final Capstone project. She was about to pull her hair out…but instead, made a joke. And I like that. So, it made me wonder about the connection between yoga and humor. 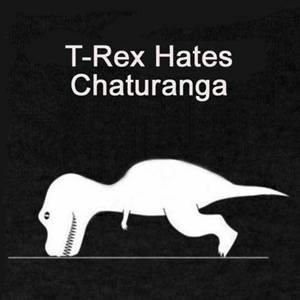 I did some searching and found a few jokes and memes and videos online to lighten the yoga spirit. 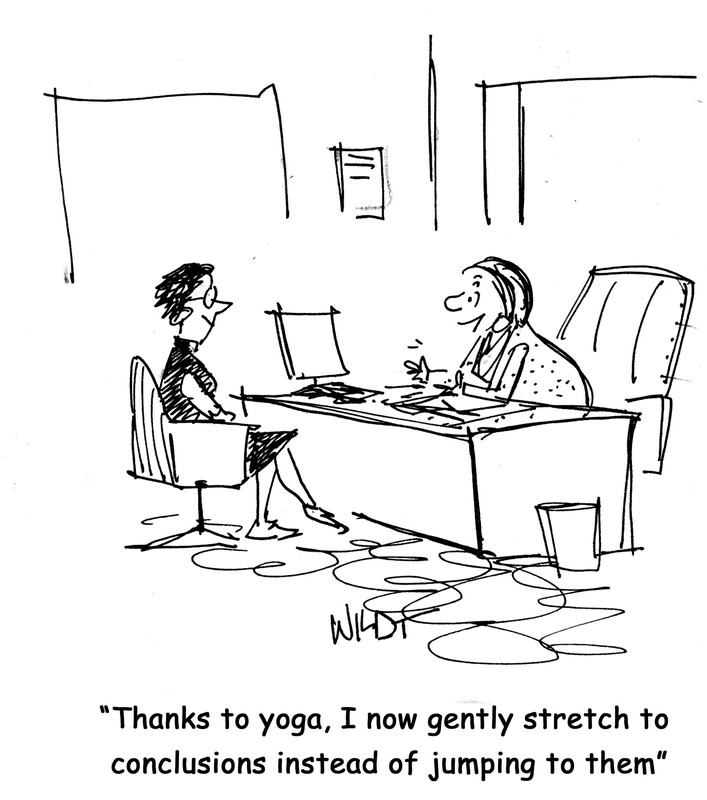 And I mean, laughing is a breathing exercise…so technically, we aren’t straying too far from the yogic journey! …and yes, I am guilty of saying a few of these things. hahahaha. these are just funny! Yoga to try this, it feels amazing! Q. What did the yogini say to the sandwich vendor at the ball game? So – stretch, breathe, smile…REPEAT. Bikram Yoga? Don’t sweat it. 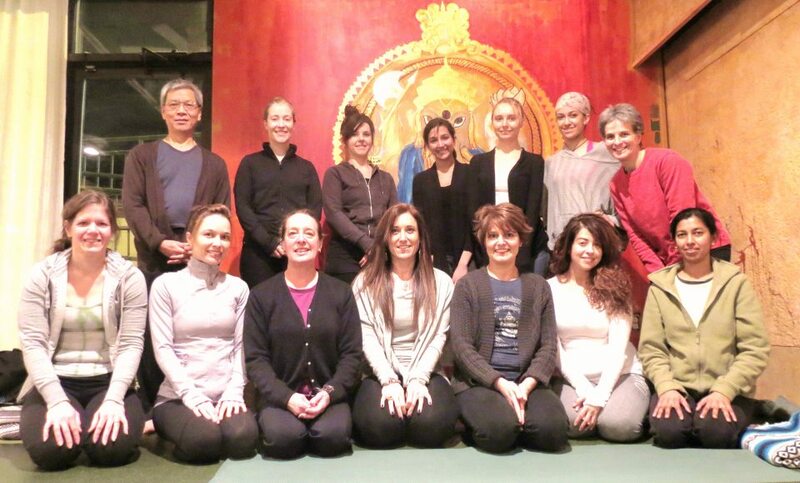 As we crossed the halfway point in the training last weekend, our yoga teachers urged us to explore different styles of yoga and form connections between the variety of teaching methods. It is important for us to be exposed to the different ways and philosophies of practicing yoga so we can provide a wholesome experience to our future students (god help them, too). For example, if someone asked me a question about Anusara yoga, it would help to have experienced it for myself – rather than just give an answer straight out of Wikipedia…which is what I just did lol. …Which brings me to my second point. I am all for detox and cleansing. I think it is very beneficial to sweat. The heat – although overwhelming – makes you a whole new person because you really feel the gallons of fluid gushing from your pores. But, at what cost? I know how flexible I am. And I know how flexible I AM NOT. It generally takes me the course of the entire practice to stretch deeply in Uttanasana (standing forward fold). At Bikram, I went inside the heated room and literally after a minute or two, I was folding forward as if I had been stretching for a whole class. It was awesome at first. But then, I realized that my muscles were just hot – not really stretched. Imagine you heat something frozen in the microwave and it starts steaming. You think, “Oh. I guess it’s ready.” And then you poke it with a fork and realize it’s still frozen in the center. That’s what I felt. And that’s not a good feeling. Another not-so-great feeling is knowing the teacher has memorized a script. Yes, all Bikram classes not only have the same 26 poses, but also the SAME ways of cuing them. The repetition of poses is not a huge issue for me, though I wish they included a couple of poses for upper body strength. Nevertheless, I feel that a lot of people like the 26-pose cycle, and I mean, it’s personal preference. But, the script? Seriously? It feels like militant yoga. Since the teacher regurgitates pose after pose, there’s really no room for individual attention or creativity. The whole thing just gets a little stale – maybe even more so than the air in the studio. Of course, there are some people who swear by Bikram Yoga and I am happy for them. I’m sure it has really benefited a lot of yogis. It just wasn’t for me. And I would love to know your thoughts as well! 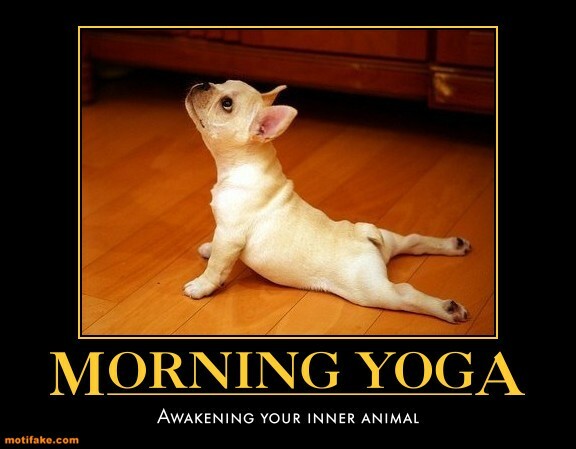 Have you tried Bikram yoga? What was your experience with it? Here’s an interview with Bikram Choudhary – the creator of Bikram yoga. So basically, in the study of ayurveda (aka India’s alternative medicine), the body’s internal balance is managed by three humors (or doshas): vata, pitta, and kapha. These three doshas are linked to the 5 elements. 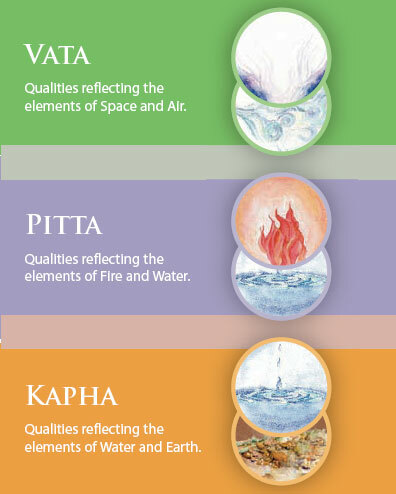 For example: vata is linked to ether (space) and air; pitta is associated with fire and water; and kapha with water and earth. But you’re probably wondering…what does this all mean? Well, let me explain to you the qualities of the three doshas. Vata: governs movement in the body (including the nervous system and elimination). Vata people tend to be energetic, lively, creative, and always on the go. They are generally tall with long, nimble fingers and great agility. 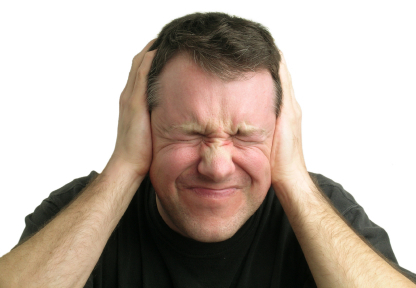 When imbalanced, vatas can be overly anxious, worried, and may suffer from insomnia or high-stress. Their response to stress is “What did I do wrong?” The physical manifestations are rapid weight loss, indigestion, arthritis, and hypertension. Pitta: governs transformation in the body (including digestion, metabolism, and energy production). Pitta people are very focused with a fiery nature and a sharp-witted mind. They have a penetrating gaze, a lustrous complexion, and a strong appetite. When this dosha is imbalanced, however, these people can become overly argumentative, critical, and judgmental. Their response to stress is “What did YOU do wrong?” They can also suffer from rashes, heartburn, ulcers, and excessive body heat. Kapha: governs structure in the body (including the skeletal and muscular systems). Kaphas are calm, thoughtful, loving, and incredibly supportive. They have warm, soft eyes, thick hair, and smooth skin. When imbalanced, however, kapha people can become lethargic, stubborn, or clingy. Their response to stress is, “I don’t want to deal with it.” They may suffer from rapid weight gain, asthma, diabetes, or depression. So basically, all of us have all 3 doshas in various proportions. And most often, one of the three is more predominant then the rest. For me it’s pitta. 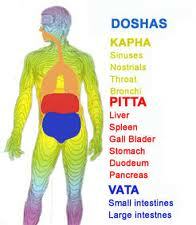 In order to keep this dosha balanced and under control, I should stay away from excessively spicy food (yeah, right!) But still, there are many other dietary and lifestyle changes I can make to achieve a healthy balance between the three. For example, if you’re a vata, you should stay away from cold, raw foods like salads during lunchtime – maybe you should seat down and have heavier meal with plenty of carbs and proteins to provide energy for your buzzing mind and life. For more information on doshas, you can go here and see for yourself. Of course, it is up to each of us to decide whether or not we visit the site, read about ayurveda, and apply it to our lives. Regardless, I think it empowers me to learn this in my yoga training and internalize its benefits. It brings me one step closer to self-awareness and self-respect as I make conscious decisions to improve the health of my mind, body, and soul. 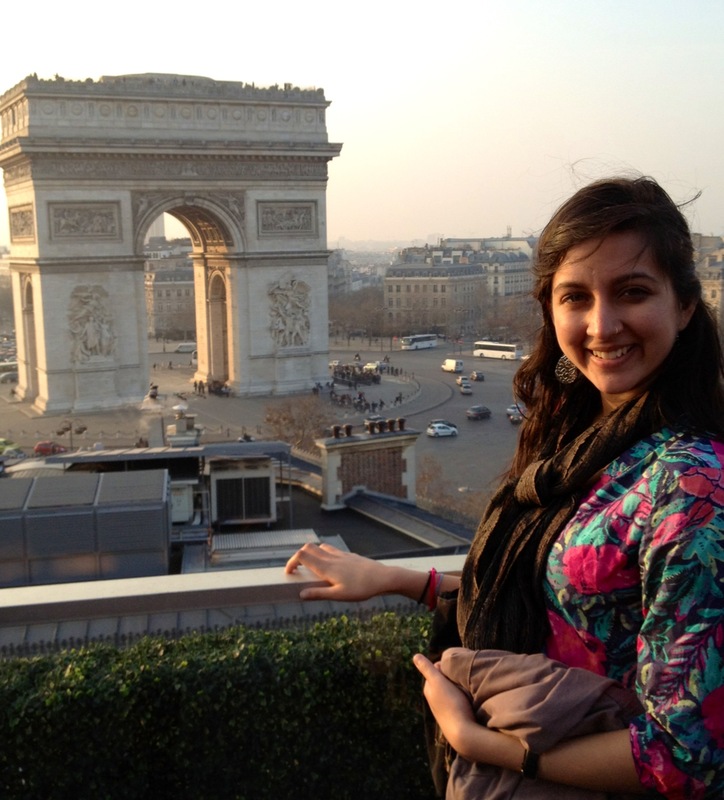 So I am going to take a little break from my yoga adventures and share with you a little something about my spring break in PARIS. Jealous? It’s ok, I would be too. 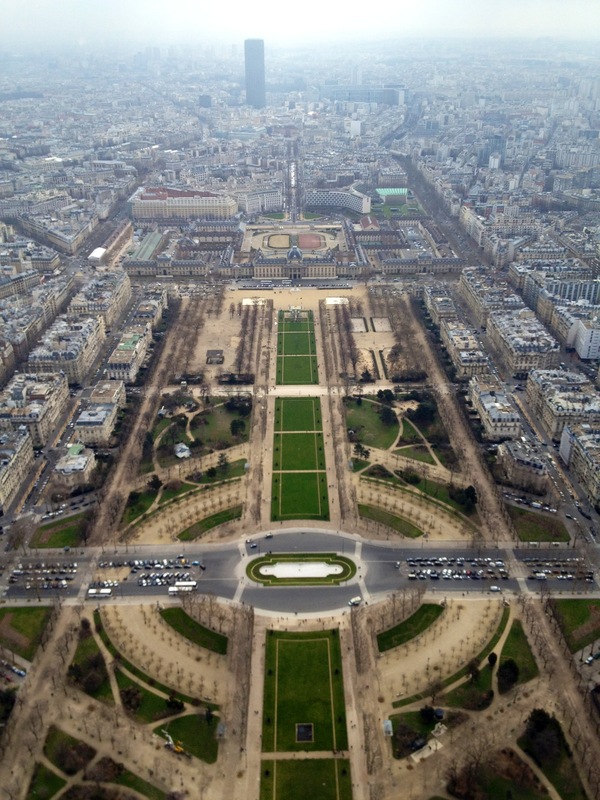 But to be fair, I went to Paris for a class – Media and Globalization – and during the week, we met the most passionate, inspiring, and worldly reporters, journalists, and advertising executives. 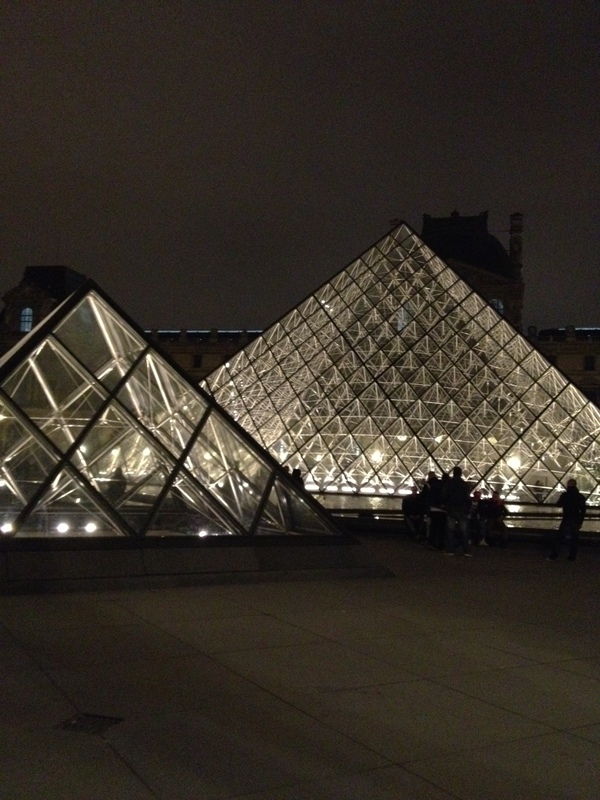 La ville de lumieres – the city of lights – was everything I had imagined and more. And trust me, being exposed to French culture after 6 years of taking the language made me have VERY high expectations. I don’t even know where to start, quite honestly. 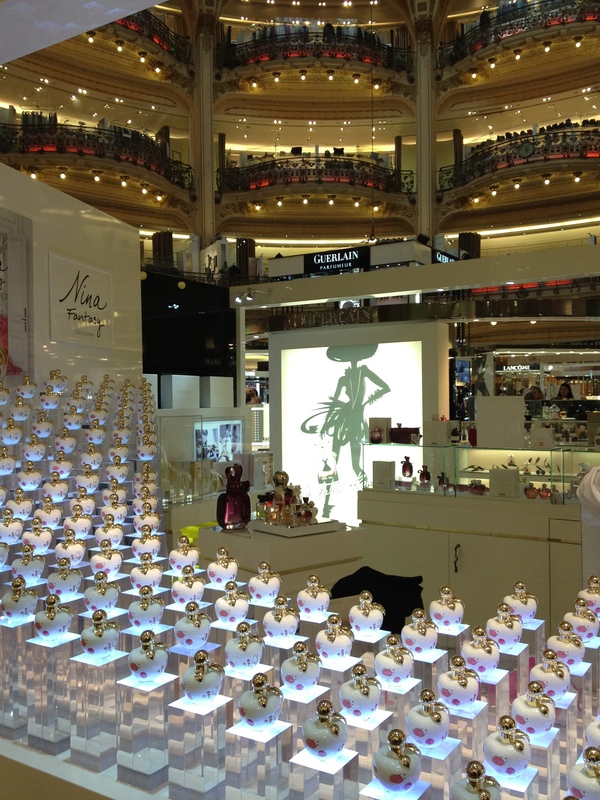 It was a whirlwind of new smells and sights and sounds – and of course, new tastes. The food, my god, the food! 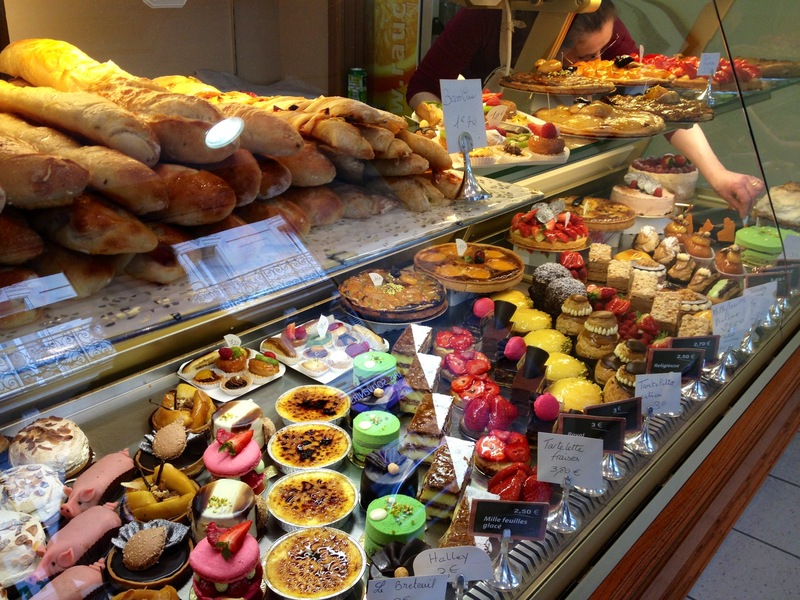 The Parisians know a thing or two about taking it easy and sitting in a cafe to eat pastries and people-watch. Of course, I could tell you about all the amazing experiences that our speakers shared with us or the beautiful architecture or the buttery croissants or the designer stores. But…I would rather show you. Mmmm and a cup of this! 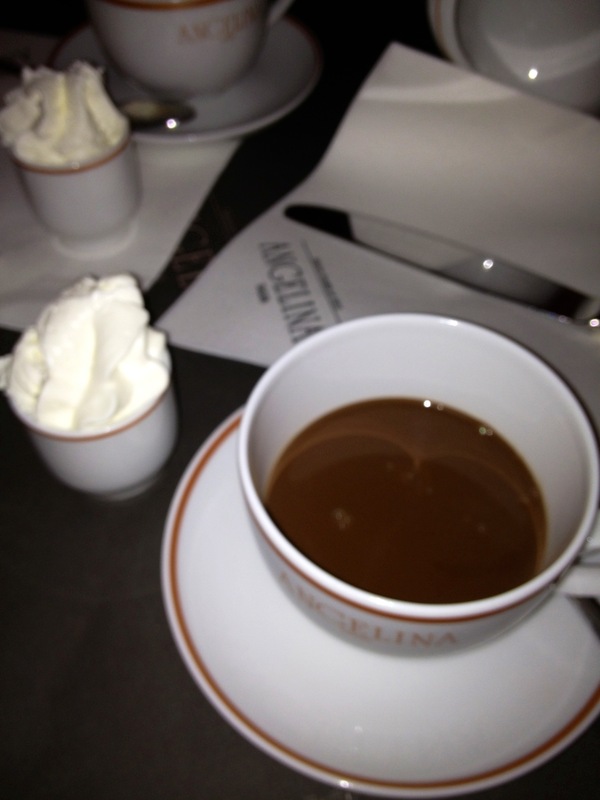 This was the thickest most decadent cup of chocolat chaud EVER. Courtesy – Angelina’s. 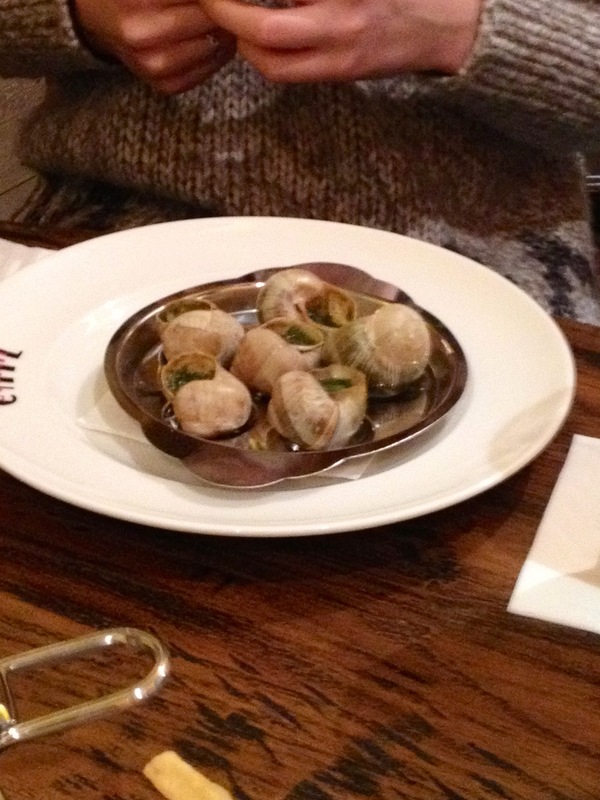 And… then there’s something I didn’t really want to try everyday…les escargots. And finally, there’s no better way to burn those calories than walk around with heavy bags in your hand!